Readers Question: James from The Good Life Asks Can anyone explain to me the principle of sustainable economic growth on a planet with finite resources? I guess it is not a good career move for an economist to admit a limit to growth. When economists talk of sustainable economic growth, they are usually thinking of low inflationary growth that avoids an economic boom and bust. For example, the Lawson boom of the 1980s saw growth of 5-6% a year, which was unsustainable; it caused inflation and shortly afterwards there was an economic recession. However, sustainability increasingly raises questions of environmental sustainability. Back in the nineteenth century Malthus saw a rising population and predicted the world would face food shortages because the population was rising, but, the available land wasn't. Yet, Malthus failed to anticipate the rate of productivity growth. In other words, with better technology, better farming practices the output from land has increased substantially. Productivity increased so much, an economy like the UK only has 3% of its workforce employed in agriculture, compared to 90% plus. This is the first aspect of growth. Economic growth, doesn't have to involve greater consumption of raw materials and more land. Better technology can enable higher output with the same amount of raw materials - or even less. For example, transport and energy doesn't have to involve the use of non renewable resources. Economic growth combined with technological progress could mean our energy sources are provided by renewable energy. Computers and the internet have reduced costs for firms and enabled higher growth with less resources. What Happens when we run out of oil and other raw materials? At the moment, our economy is dependent on oil, at some time oil will run out and therefore prices will rise - will this bring an end to economic growth? Economists argue this will just provide incentives to develop alternative source of energy, even if this involves 10,000 windmills in every county. We will still be able to provide power, but, we will be forced to find alternative means that are sustainable. Basically, this is the 'optimistic view'. Economic growth caused by increased productivity, and better technology can enable higher living standards and higher GDP without depleting the earth's resources. There is no reason why this growth cannot be sustainable forever. External Costs of Growth. Combined with rising population, increased output is causing strain on the environment in terms of pollution and global warming. This could lead to catastrophic effects, which are hard for the market to predict and price. Economic growth is a combination of higher productivity and higher consumption of raw materials. True, economic growth is caused partly by better technology and increased productivity. But, growth also invariably leads to higher consumption of non renewable resources. Look at how China's economic growth has increased demand for non renewable resources. In theory, a shortage of raw materials provides incentives for the development of alternatives. But, the free market might provide a much less smooth transition than we would like. There is no guarantee renewable energy would be able to smoothly replace our dependence on fossil fuels. Population Growth. A rising population exacerbates all the problems of economic growth. The world population is fast rising; combined with bad management, environmental change, sections of the world's population face possible water shortages and other constraints to basic living standards. Even with finite resources, it is possible to have sustainable economic growth. Growth can occur without depleting more non renewable resources. However, just because growth can theoretically occur with increased productivity / technology, doesn't mean there are not constraints on growth. We may find that the externalities of growth negatively affect living standards much more than we anticipate. We also currently have a dependence on fossil fuels. If we are lucky we may have a smooth transition as they run out. But, it is quite likely that we will struggle to replace them as easily as we would like, this could place constraints on growth. The problem is that because Malthus was so hopelessly wrong, it has become rather easy to criticise those who disagree with the inevitability of growth. However, environmental changes is occurring so fast, that maybe the future will be very different. Growth can be sustainable, but, I disagree it is inevitable as some might suggest. How Can Economic growth help the environment? Well, that was an excellent article. Everything I ever wanted to say in a concise manner. I understand now what Gordon means by sustainable economic growth. Not necessarily what I was hoping for. Yes, new technology will lead to greater efficiencies. However, with greater efficiencies we head into Jevon's paradox and greater consumption. With each new technology we may get a decrease in materials or energy used but a greater take-up of the technology. This leads to more energy being used and quite often more materials. Did the PC create a paperless office? I don't think so. The modern office uses a lot more energy than one from the 1970s. Then we have the population problem and developing countries wanting all the trappings of a modern society. We have more people and we have more people wanting to be western consumers. The future will either see a curtailing of population growth by development or by failure. Either way the population must come down so that economies can concentrate on growing to improve the lives of those who remain. 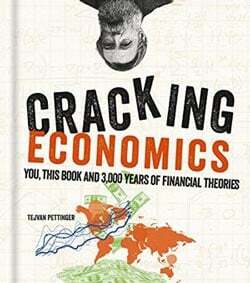 The problem is we seek Exponential Growth, which is unsustainable over a long enough period - hence periodic recessions! Eventually any rapidly growing system will collapse! As yet Nature has not been able to constrain the Human Species to an equilibrium state. However, the onset of Peak-Oil may well bring that about!